NFL concussion settlement approved: Judge accepts new terms. 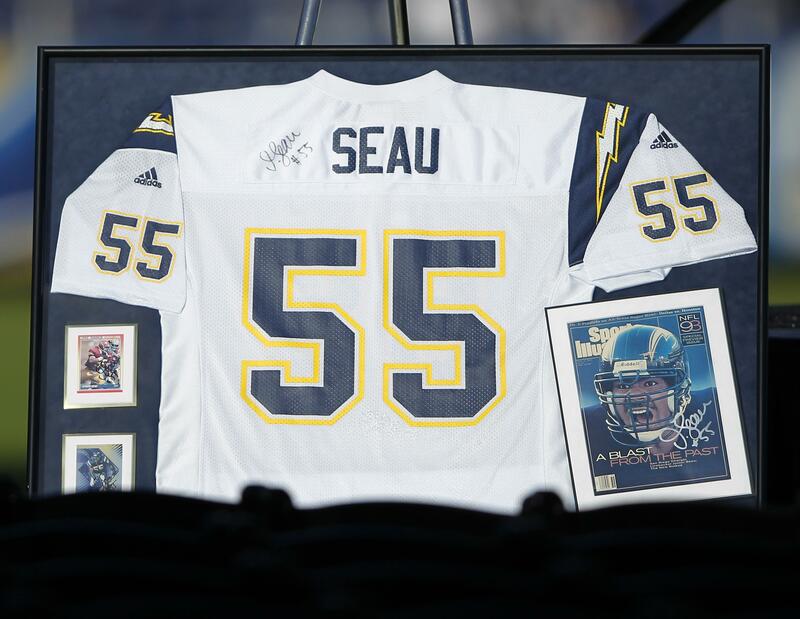 A memorial for Junior Seau, the former NFL star who suffered chronic symptoms of brain damage and committed suicide in 2013. Though appeals are expected, a Philadelphia judge has given her approval to a settlement between the NFL and former NFL players that will help cover the costs of neurological disorders related to concussions. Judge Anita Brody had rejected the two parties’ initially proposed $675 million settlement as too unfavorable toward former players; as a result, the final agreement does not involve caps on the amount of money that the NFL is required to spend. (The final settlement has an estimated value of $765 million and the NFL believes the most it will end up paying is $900 million.) It also sets aside funds for “medical monitoring of all players to determine when or if they may qualify for a payment,” in the New York Times’ words. The terms of the agreement would cover all former players and familes of players except those who have chosen to opt out (some 220 already have) and maintain the option of pursuing their own claims against the league. It appears that the expected appeals to Brody’s ruling, though, would come from players who want to participate in the settlement but are not happy with its terms.